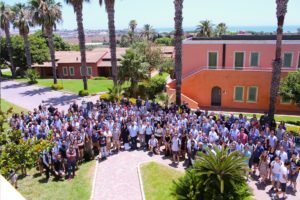 Our team attended the twelfth edition of the International Computer Vision Summer School in Punta Sampieri on Sicily. The ICVSS provided both an objective and clear overview and an in-depth analysis of the state-of-the-art research in Computer Vision. The last decade has seen a revolution in the theory and application of computer vision and machine learning. In this edition, we learned about the emerging Computer Vision topics after Deep Learning revolution. ICVSS was previously awarded the IEEE PAMI Mark Everingham Prize (2017) – this Prize commemorates Mark Everingham and encourages others to follow in his footsteps by acting to further progress in the computer vision community as a whole. The prize is given to a researcher, or a team of researchers, who made a selfless contribution of significant benefit to other members of the computer vision community. The award is given out by the IEEE Pattern Analysis and Machine Intelligence (PAMI) Technical Committee. Candidates are nominated by the community in a window preceding ECCV or ICCV determined by the TCPAMI chair. The school courses were delivered by world renowned experts in the field, from both academia and industry, and covered both theoretical and practical aspects of real Computer Vision problems as well as examples of their successful commercialization. The school aims to provide a stimulating opportunity for young researchers and Ph.D. students. The participants benefit from direct interaction and discussions with world leaders in Computer Vision. 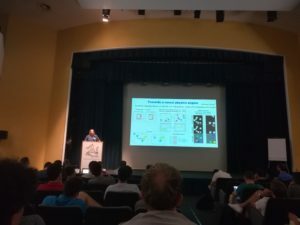 Participants also have the possibility to present the results of their research, and to interact with their scientific peers, in a friendly and constructive environment.